Our fleet is constantly renewing, making it always as safe and environmentally friendly as possible. At the moment, most of our trucks are EURO-6 classified. Some of our trucks are equipped with an adjustable fifth wheel (heights of 950 mm / 1150 mm). So with these trucks we can haul both traditional “huckepack” trailers and “mega”-trailers as well. 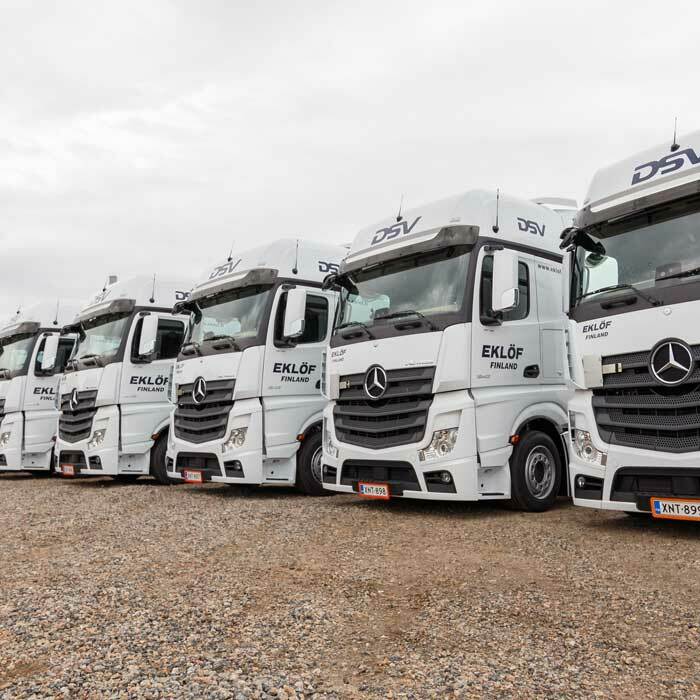 In addition to our own trucks, Transport Eklöf uses only regular subcontractor trucks in which Transport Eklöf’s onboard computers have been installed and integrated into our ERP systems. © 2019 Kuljetus Eklöf Oy, All rights reserved.